Maggi two-minute noodles is only the latest food item to be found violative of food-safety standards in India. Consider this: 64 percent of loose edible oils sold in Mumbai is adulterated, according to a study conducted last year by the Consumer Guidance Society of India. The study tested 291 samples of sesame oil, coconut oil, groundnut oil, mustard oil, sunflower oil, cottonseed oil and soybean oil. This apart, arsenic above “critical limits” was found in cereals, pulses, vegetables, roots and tubers. Cadmium above similar criticality was found in cereals, fruits and curd, in a 2013 MS University of Baroda study. Both heavy metals are toxic to human beings. Looking at other items, 28 percent of eggs sampled in Uttar Pradesh’s Bareilly, Dehradun and Izatnagar towns were contaminated with E. coli (effects are said to include diarrhoea, urinary and respiratory infections and pneumonia) and 5 percent with multi-drug resistant salmonella bacteria (Effects: diarrhoea, fever, cramps), according to this 2013 study by the Indian Veterinary Research Institute. More than half of all duck eggs -- a local staple in Kerala -- sampled in the prosperous town of Kottayam were contaminated with salmonella, according to this 2011 study. Nearly 69 percent of 1,791 milk samples in a nationwide study did not conform to Indian standards (though they weren’t necessarily unsafe). Milk, as IndiaSpend reported earlier, is one of the most-commonly adulterated food items in India, followed by oil and eggs. As one can see, we are surrounded by food that is contaminated, adulterated and does not meet Indian safety and packaging standards. 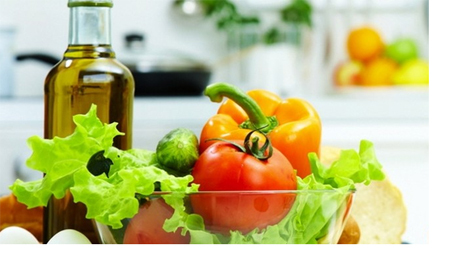 What we have presented to you is only a sampling of recent studies on Indian foodstuff. 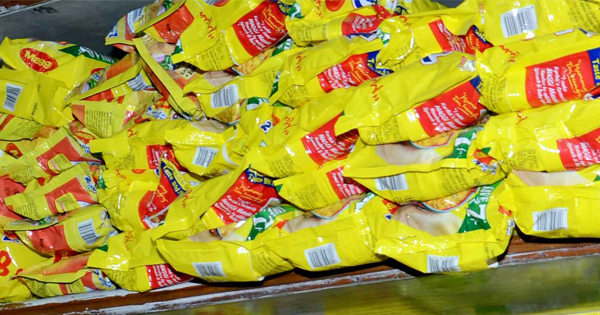 Why did Maggi hit the headlines? Maggi’s case -- given its popularity -- is playing out in a blaze of publicity, as more states ban the noodles and has now been withdrawn from the Indian market by its manufacturer Nestle India. “The trust of our consumers and the safety of our products is our first priority. Unfortunately, recent developments and unfounded concerns about the product have led to an environment of confusion for the consumer, to such an extent that we have decided to withdraw the product off the shelves, despite the product being safe,” said an official statement by Nestle India. “This is a very serious issue as it concerns the safety of consumers. Therefore, for the first time, the government has suo motu complained to the Consumer Commission to take cognisance of the matter on behalf of a class of consumers,” Consumer Affairs Minister Ram Vilas Paswan said. The move comes after product samples analysed by Food Safety and Drug Administration (FDA), Uttar Pradesh were found three times above safe limits. The permissible limit of lead in food items like Maggi is 2.5 parts per million (ppm), according to food safety regulations of 2011. Maggi samples analysed by the Uttar Pradesh watchdog were found to have lead concentration nearly seven times higher at 17.2 ppm, raising fears of possible lead poisoning among consumers. The findings of the Uttar Pradesh regulator prompted several states to conduct similar tests on Maggi. Sevral states have not only banned Maggi but also other brad of instant noodles. Since health is a state subject, states have their own regulators to test if the foodstuff adhere to safety regulations. Yet, lead isn’t only in food. And foodstuff isn’t the only item that violates safety standards. The air you breathe, the water you drink, even your walls could hold the main toxin that Maggi noodles are suspected to contain. Lead is also present in household paint. A third of enamel paints analysed had lead concentration above 10,000 ppm -- 111 times more than the prescribed norm of 90 ppm by the Bureau of Indian Standards (BIS), according to a recent study by Toxics Link. The study tested 101 enamel paints, of which 32 paints revealed high lead concentrations. All 32 paints were made by small and medium enterprises. Lead and other carcinogenic heavy metals have also been commonly found in everything from spinach in Delhi and Nagpur to brinjal, tomato and beans in West Bengal. Indeed, there are few vegetables that do not display lead contamination, primarily deposited from vehicular exhaust, as this 2013 study of carrot, radish, beet, cabbage and other vegetables in West Bengal revealed. But one is also unclear about how MSG crept into Maggi. Besides lead, high levels of mono-sodium glutamate (MSG), a taste enhancer, was also found in Maggi.This is a product widely used in what is called “Indian-Chinese” food. MSG should not be added to “pastas and noodles (only dried products)”, according to Food Safety and Standards Rules, 2011. Similarly, glutamate is one of the most common, naturally, occurring non-essential amino acid, which is found in tomatoes, parmesan cheese, potatoes, mushrooms, and other vegetables and fruits. MSG is “generally recognised as safe” by U.S Food and Drug Administration, though it is considered harmful in India. Major complaints arising from MSG use include burning sensations of the mouth, head and neck, headaches, weakness of the arms or legs, upset stomach and hives or other allergic-type reactions with the skin. Maggi is the most recognisable instant noodle brands in India. This could justify the nationwide uproar against revelations of adulteration. This also raises fear of several other food items being adulterated. The bottom line also is India has not kept pace with its toxins. Detection is crucial to counter the growing problem of food adulteration, but the country has not established enough testing laboratories. But as IndiaSpend finds, India has only 148 food-testing laboratories. This means, each laboratory serves 88 million people. China, by contrast, has one laboratory for every 0.2 million people. The percentage of food samples found not conforming to the regulations increased from 12.77 percdnt in 2011-12 to 18.80 percent in 2013-14 -- a six percentage-point increase over three years, as per national food watchdog data. So, while products are violating safety norms, government agencies have also cracked down on violators. The number of convictions in food-adulteration cases increased from 764 in 2011-12 to 3,845 in 2013-14 -- a 403 percent rise. But does this data provide the full picture?